Do you feel that your house lacks sparkle and personality? Do you want to do away with the drab porch and add some zing to it? Then a home improvement project may be just what the doctor ordered! You can go in for a home improvement scheme that will take care of enhancing some areas of your house. 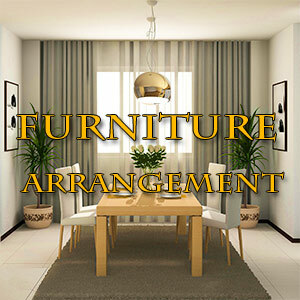 alternatively you can undertake home improvement remodeling that can give your house a complete makeover. If you have the time and the inclination, a do it yourself home improvement may be just up your street. Read this article to find out the pros and cons of working out a DIY home improvement plan. If you are planning to embark on a do-it-yourself home improvement project, you need to consider a few factors before taking the plunge. Time: You have to consider the time at your disposal to undertake these home repair and home improvement tasks. A professional may be able to complete the task much quicker than you can. Tools: It is essential to possess the right tools for some jobs. You need to be experienced in using them too. You can end up with injuries if you do not use the equipment correctly. Skills: You have to assess your skills realistically. It would be unwise to go in for intricate work or undertake one that requires a high degree of craftsmanship unless you possess the necessary competence. The alternative to a DIY home improvement job is to hire a professional contractor who will supervise and get the work done from start to finish. But getting the right person at the right price is not always easy. Word of mouth is one way of getting the right set of persons. A home remodeling and improvement job can encompass various areas of the house. The structure of the house is of paramount importance. The roof of the house is another area of concern. The water control needs to be examined to ensure proper drainage etc. Making the right choice of materials and designs can help in giving your house a totally new look. Typically people seek to go in for home improvement remodeling of kitchens and bathrooms. These rooms tend to be quite expensive to remodel. New designs and storage options have revolutionized the house décor industry. You can go in for a home improvement project to remodel your house to suit your lifestyle, requirements and budget. A home improvement project can cost you thousands of dollars. 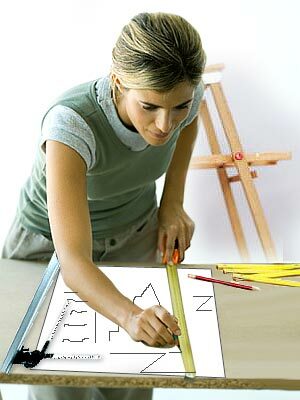 Home improvement remodeling has to be undertaken with a lot of care and planning. The existing house and structure must be inspected before starting off on the work. It is advisable to get the foundation examined by a structural engineer. You cannot embark on a remodeling on a house that has a bad foundation. Getting a pest control specialist to examine the premises is also a wise suggestion. After all dry rot on account of termites can ruin all your remodeling schemes. Home remodeling and improvement is done as a measure of routine maintenance as well as to enhance facilities. Sometimes people prefer to undertake some remodeling and improvement on their houses so as to increase the value of the property. In such a case, it would be better not to opt for major renovations but merely go in for cosmetic repairs. Home improvement remodeling can be done on a fixed price basis. In such a case, the contractor or remodeler undertakes the home improvement remodeling for an agreed amount. This proves to be an incentive to clients and contractors alike. If you undertake a home improvement remodeling of your bathroom, you can either go in for a partial remodel or a complete makeover. You may seek to merely add bathroom cabinets and go in for better fixtures. If you are working on a complete bathroom-remodeling job, you can use design galleries or home improvement software to plan out the bathroom, fixtures, color scheme and all! Find home repair improvement tips by perusing relevant web sites. Here you can find pictures and photos of different home improvement and modeling styles. Decide on a home repair contractor after checking out his credentials and fees. Compare various home repair improvement loans that can finance your project. Select one that suits your needs. 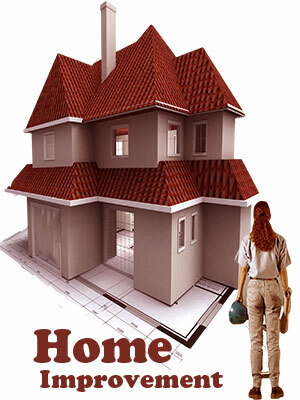 Home improvement and repair can be undertaken for the whole house or for a portion only. You can use the services of an interior decorator who can help with the aesthetic parts like wallpaper, paint selections, molding and trim details and lighting decisions. Careful selection of materials for your home improvement and repair can go a long way in increasing the value of your house. When undertaking a home improvement project, you must be prepared for inconveniences - they are part of the deal! Having workmen in the house for weeks on end can be deterring to the toughest among us. Delays due to weather, material delays and improper planning can throw your schedule out of gear. Get an estimated completion date from your home remodeling contractor but be prepared for a time overrun. But the end result may be worth the effort!